[Martin Conroy writes from Scotland]: Last week’s announcement that Pope Francis has accepted the resignation from the College of Cardinals of Keith O’Brien, along with all the rights and duties of the title, brings to a close a tense period for the Scottish Church. The former Archbishop of St Andrews and Edinburgh will continue to observe the strictly private life he has lived since he stepped down in February 2013, following allegations in The Observer of serious sexual misconduct towards three priests and a former priest dating back to the 1980s. There were no allegations against minors, although some claimed he had abused his authority. 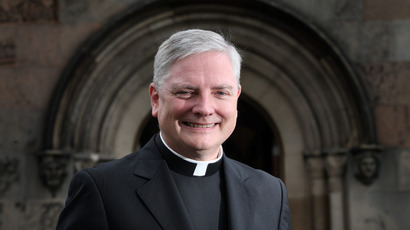 At first he contested the allegations but offered to resign as archbishop after admitting: “there have been times that my sexual conduct has fallen below the standards expected of me as a priest, archbishop and cardinal.” He apologised, asked for forgiveness from those he had offended and from the wider Church, and recused himself from the conclave that elected Pope Francis. In May 2013 the Vatican said O’Brien would leave “for several months for the purpose of spiritual renewal, prayer and penance”, noting that “any decision regarding future arrangements for His Eminence shall be agreed with the Holy See”. The following month it was announced that the Vatican would conduct an investigation. 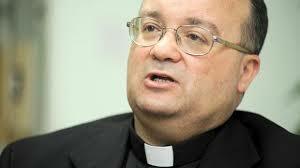 The papal nuncio said he was grateful to those bringing the allegations for their courage in speaking out. Last year Pope Francis sent a personal envoy, the Vatican’s former point man on abuse and now Archbishop of Malta, Archbishop Charles Scicluna, on a fact-finding mission to Scotland. Based on his report Pope Francis reached his conclusion. In renouncing all the rights and privileges of being a cardinal, O’Brien will no longer perform any public, religious or civil duties associated with the title but will retain his ‘red hat’. The move follows a private discussion with Pope Francis which was preceded by a period of prayer and penance in order to reflect upon his misconduct. Cardinal O’Brien said he accepted the decision of the Holy Father. I wish to repeat the apology which I made to the Catholic Church and the people of Scotland some two years ago now on March 3, 2013. I then said that there have been times that my sexual conduct has fallen below the standards expected of me. For that I am deeply sorry. 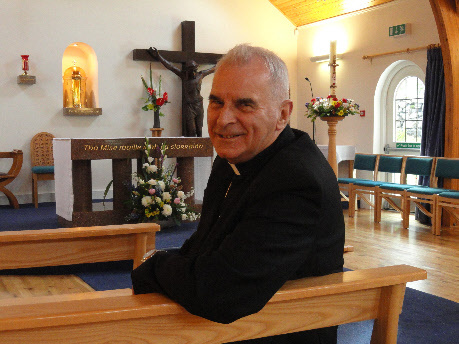 I will continue to play no part in the public life of the Church in Scotland; and will dedicate the rest of my life in retirement, praying especially for the Archdiocese of Saint Andrews and Edinburgh, for Scotland, and for those I have offended in any way. Cardinal O’Brien remains a cardinal in name only. He will no longer carry out any public religious or civil duties; he cannot officiate at weddings or funerals, or hear confessions or say Mass except in the privacy of his home. Nor will he take part in the next conclave. Cardinal O’Brien’s behaviour distressed many, it demoralised faithful Catholics and it made the Church less credible to those who are not Catholic. I therefore acknowledge and welcome his apology to those affected by his behaviour and also to the people of Scotland – especially the Catholic community. For my own part, I would like to express sorrow and regret to those most distressed by the actions of my predecessor. I hope now that all of us affected by this sad and regrettable episode will embrace a spirit of forgiveness, the only spirit that can heal any bitterness and hurt that still remains. Forgiving the trespasses of others is surely the only way to regain our human and Christian serenity after such events. This entry was posted in Uncategorized and tagged Keith O’Brien, Pope Francis, Scottish Church. Bookmark the permalink.